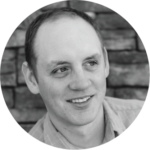 Travis is an eCommerce guru with over 13+ years in the industry as an online retailer and consultant. He has been featured on ecommerceconsulting.com, Webretailer.com, Inspired Insider Podcast and was a featured panelist at Facebook For Business in 2014. Travis is a natural innovator in many areas of online retail including streamlining processes, customer retention and digital marketing. Travis developed the systems and team that brought Paradisefibers from a fledgling startup ($50k in debt) to over $100k/day in gross sales on a shoestring budget. He is also a registered contractor for the Monsoon Stone Edge Order Manager. 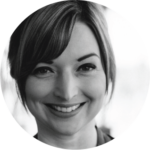 Sara has 10 years of industry experience and previously served as the Digital Marketing Coordinator at Paradise Fibers. She is great at squeezing more out of every email campaign. Sara has worked with a variety of Email Service Providers to produce advanced segmentation techniques to increase ROI via targeting. She also has extensive experience in fulfillment systems, order management and catalog management. Nick is our web solutions expert, Magento wizard and IT ninja. He has been in online retail technology and consulting for 10+ years. He has an extensive background with fulfillment and warehouse management including the Stone Edge Order Manager. 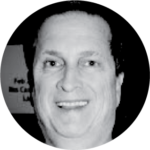 He specializes in online retail systems workflow solutions. It’s not unusual to find him mind melding with a server (like spock from Star Trek) when troubleshooting a new server installation. Nathaniel specializes in Catalog Management and Maintenance. Excel is his weapon of choice as he attacks legions of messy data and product updates. 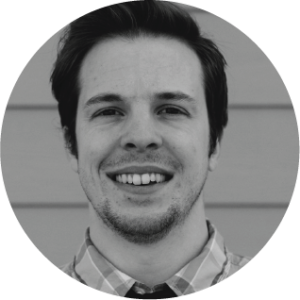 Nathaniel is trained in SEO best practices and infuses them into his database catalog work. He has advanced training in image management and product photography. Nathaniel holds a Bachelors in fine arts from Gonzaga and is an amazing artist. 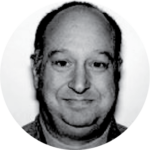 Paul is a seasoned e-commerce strategist who has worked with Costco, Spencer's, Spirit Halloween. We count on him for advanced analysis for larger accounts. Paul has been a GM, CMO and dept. head across CPG, retail store, DTC and e-commerce brands. From 1995-2007 Paul was with $150MM-$4B brands (Ancestry.com, Hasbro, U.S. Mint) producing annual sales increases from $30MM-$50MM (20%). Jack built the original Affiliate Program for Zappos and continues to be an unstoppable force in the Affiliate Marketing world. Jack once cleaned up and built a program to over $100MM per year! Jack has personal connections with all of the major affiliates and can plug your business directly into his network. Jack can setup successful affiliate marketing campaigns in nearly any industry and achieve serious ROI from existing web assets.